Just before the holiday season… it’s a great time to check and renew our goals and to create a plan that will help us get closer to achieving our goals and to commit to them with passion and purpose. But before we focus on a plan to get us closer to achieving our goals it is good to learn exactly where we stand today and to understand what has been blocking our way to success. Keeping a journal is an excellent way to shed light on what exactly is really happening in your life and your diet. So, what do I mean by the journal? Well, by the journal I mean a food and exercise log. Without further ado, start writing everything you put into your body including food and drinks, snacks and even the crumbs you pick up after your children. Also, write what you are doing physically. This journal will allow you to understand better and reveal a few things about yourself. 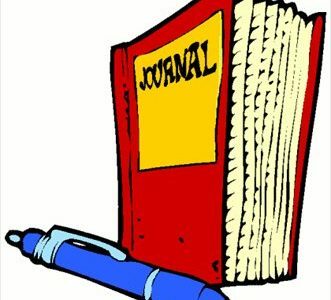 Writing in the journal will help you understand where are your personal pitfalls and once these are better recognized and understood, you can focus on eliminating them. Make the journal small and noncumbersome so that it can be taken everywhere with you. Collect information for a week at a time so that you can compare it with other weeks. There is an example of such a journal in The Guerrilla Diet Bootcamp membership site under the free resources tab, but I encourage you to customize your journal to fit your own personality. Another column stating where the meal took place (which place in the house did you eat the meal, or was it in a restaurant, and which restaurant, or were you with family or friends and where), and with who were you during the meal. After one week of keeping this journal, you will come to some very interesting conclusions about yourself and your habits. Perhaps you will find that you tend to eat even though you may not be hungry at all, or, on the contrary, you may find that you tend to eat when you are over hungry and can’t control what you are eating. You may find that certain situations and company trigger certain eating habits or that certain places or people seem to be unsupportive of healthy eating habits for you. These insights will help you learn how to rearrange your eating times to ensure a steady influx of healthy foods to ensure a steady blood sugar level that will help you to control your hunger hormone levels. These insights will also help you to make better choices of where you should be eating. These insights, in turn, will help you to lose weight much more easily and get you on the sure path to success with your weight and health goals.